The Swiss National Bank issued Swiss Franc banknotes in 7 different denominations, including this 20 Swiss Francs banknote (9th Series). 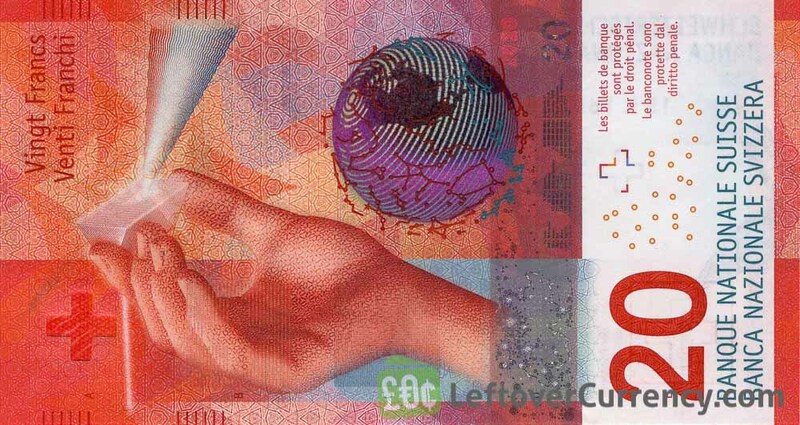 They are part of the current Swiss Franc banknotes series. The Swiss National Bank started issuing these 20 Swiss Franc banknotes in 2017. They are currently still in circulation. 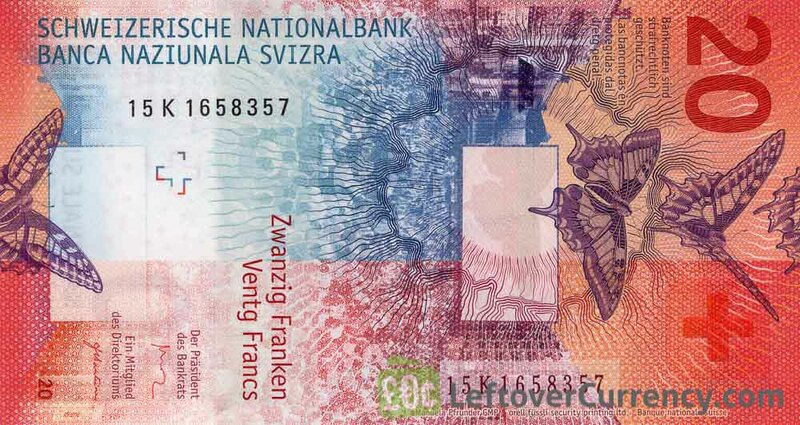 The new bright red coloured 20 Swiss Francs banknote from the Ninth Series focusses on Switzerland’s creativity, expressed by light, the key motif of the 20 CHF bill. Elements on the banknote include a globe, butterflies, a ray of light and a prism. 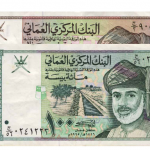 The banknote is made of a hybrid of polymer plastic and paper. Repeat these steps for any other notes and coins you want to exchange. Complete checkout and get paid within 5 days of receiving your currencies. 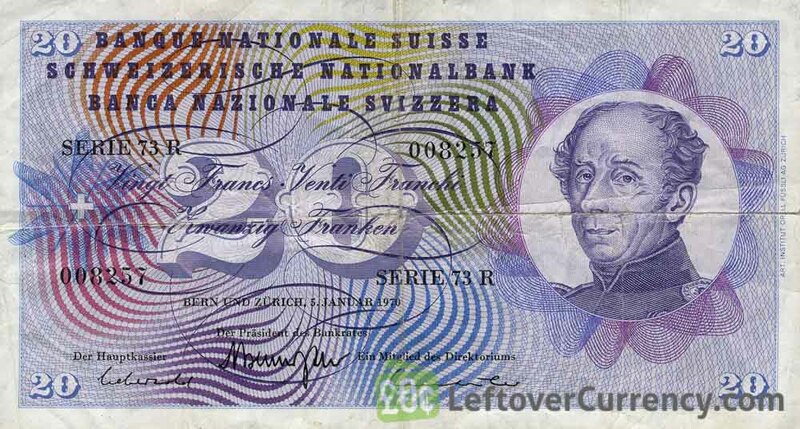 To exchange your 20 Swiss Francs banknote (9th Series) for cash: add it to your wallet now!